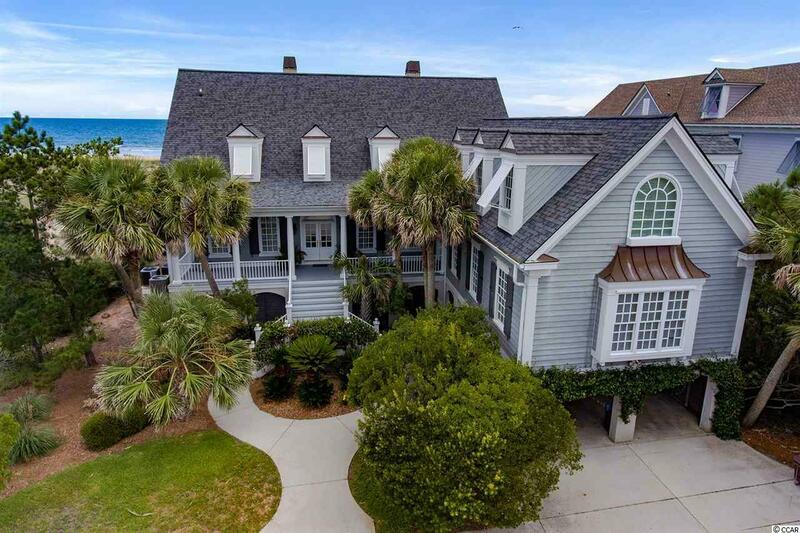 Luxury Oceanfront home in the privately gated Prince George community in Pawleys Island with a floor plan that masterfully captures views of the Atlantic Ocean and gorgeous ever changing marsh views. With a new roof added in 2017 and all new exterior paint in 2018, this well constructed and maintained home is being sold furnished and in ready to go condition! The main level features an open living area with a soaring ceiling, formal dining area, a double sided fireplace and a kitchen with plenty of extra dining space. The kitchen also includes a cozy den with doors leading to the wrap around porch. A large pantry and a spectacular dish room keep all of your items in order. The oceanfront master suite has its own laundry room with an additional one on the second level. Two guest bedrooms on the main level have en-suite baths. The back porch on this home is a living rooms on its own! The second floor features a balcony sitting room and office overlooking the ocean - perfect for reading and r&r. Three additional bedrooms and baths complete the second level. The balcony on this level can be accessed via the spiral staircase from the first floor outside or from the oceanfront bedrooms. From the beautiful mosaic tile in the family room bar, to the endless bookcases and built in china cabinets there are so many details to enjoy. Make an appointment today to view this lovely home and the entire Prince George Community.